Davocy eyelashes are currently being sold through their Amazon.com shop, but it’s difficult to find them anywhere else online. They don’t sell in any physical stores, so they may be challenging to purchase if you do not shop online. As well as their eyelash range, Davocy has also brought out some eyelash accessories. They sell an eyelash applicator in 5 different colors; green, white, pink and black, which are currently being sold for $6.99 and are a great investment for customers who aren’t as experienced in applying a set of falsies. What Are the 3D Mink Lashes? 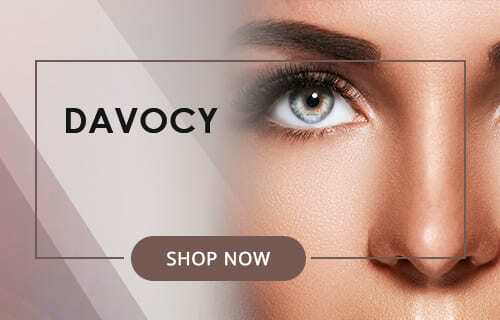 Davocy currently has two different products in their 3D Mink collection – the natural and the dramatic style lashes. Both are fairly self-explanatory, but the natural style looks much softer and is typically worn during the day. On the other hand, the dramatic style is much thicker and fuller, typically worn for a glamorous look on a night out. Both cost $9.99 and can be worn multiple times when looked after. They also come in a beautiful iridescent diamond box, perfect for keeping them in when you are not using them! What Are the Demi Wispies Lashes? If you want more than one pair, then you can shop the multi-box range. Each box has a very cute pink flamingo design, and inside you will find 5 pairs of eyelashes. 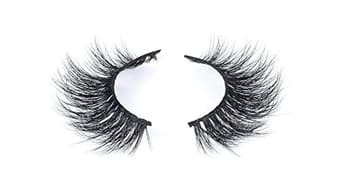 Similarly to the 3D Mink, you can buy them in the natural and dramatic styles, however, these lashes are made out of synthetic fibers and can only be used up to 5 times – which explains why they only cost $7.88. A few of the negatives are that the brand hasn’t been fully developed, there is a slight disparity between their different social media accounts in terms of style, but hopefully, if they continue to be successful, they will spend more time working on this element. They also have a very limited range of styles which could potentially make it difficult for customers who are looking for a specific type of eyelash. How Do We Rate Davocy? It’s great that they are selling on such a big platform like Amazon, it makes easier and more accessible for a lot of customers, but it would be nice to one day see their own website or a more brand. The prices are so affordable. If you want to start experimenting with false eyelashes, these would be a great brand to start with. Davocy does use high-quality materials such as Siberian mink hair in their collections and claim to use high-quality fibers for their synthetic collection. Unfortunately, there is very little range from Davocy, in their entire product list, we only see two styles, in two different materials. Their 3D Mink range has good durability; they can be reused up to 15 times, which is great considering their price. The synthetic boxed eyelashes are only reusable 5 times, which is why they give you so many! 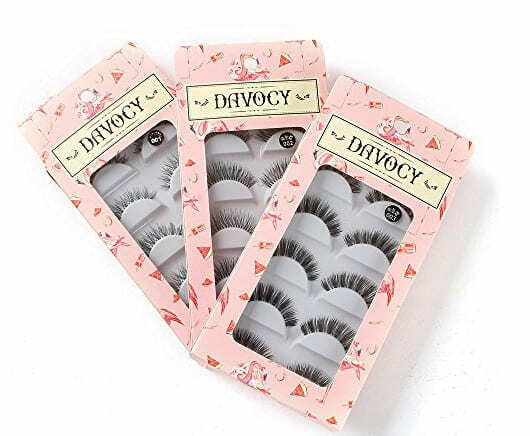 Davocy is doing well for a new company branching out into the eyelash world, but we hope to see them develop not only their brand but their product range in the future as well. If you are interested in Davocy products, you can use this promotion on their Amazon page – 5% off purchase of 10 items, 10% off purchase of 30 items, 15% off purchase of 50 items. Get as many demi whispies as you can. These are some rocking eyelashes especially for how little they cost. Just bought multiple multi-packs so that I can keep wearing them everyday. Becoming my new go-to lash. good 3D mink lashes. will buy again next month. Made a nice gift for my older teenage daughter. She is just getting into experimenting with makeup and I figured these would be a way for her to go wild and not spend a ton of money on that process. These look really beautiful on her almond-shaped green eyes as well.